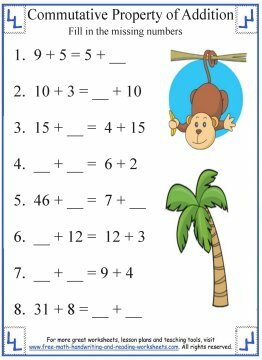 The commutative property of addition is one of four basic properties that your child will use in math. 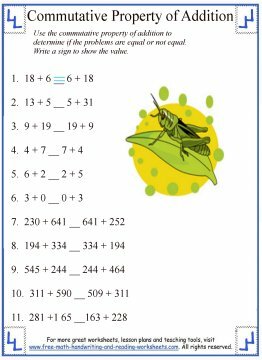 All of the worksheets below will focus on this property. I've prepared lessons on the other properties of addition. You can find them all at the bottom of this page. 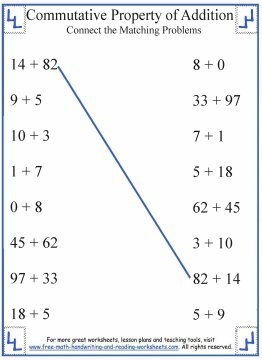 The property states that when two or more numbers are added, the sum is the same regardless of the order of the addends. Simply put, it doesn't matter what order you add numbers together. Let's take a look. The above example is covered more in my lesson on the Associative property. Now let's put it into practice. Print out the worksheets below to learn about this addition property. Instructions are included on each print-out, but I'll cover each one in more depth further down. The first paper is used to show the relationship between equal equations. 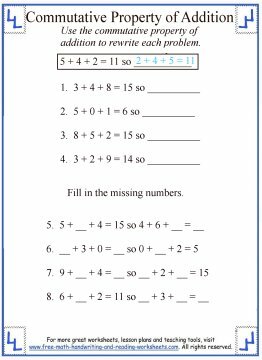 Your child must use the information given to fill in the blanks and create two similar math problems that show the commutative property in action. The next printable is very similar. On the left side is one set of math problems. On the right side is the reverse of each. Students need to draw a line between the matches. The first one is done as an example. Then there is a paper that has two equations side by side. It is your child's job to determine whether they are equal to each other or not. Your child should not solve the problems to determine equality. Use the commutative property to solve. 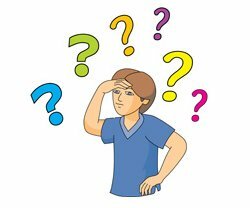 The fourth worksheet shows 3-digit problems and asks your student to rewrite each one. There can be more than one correct answer for these as the order is not important. 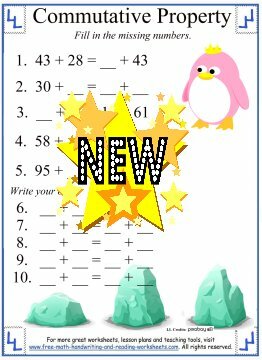 I created the two new worksheets exactly like the first one. 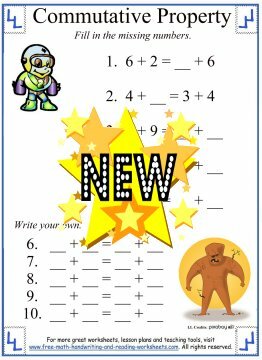 It is one of the most popular worksheets on my Pinterest page, so I thought teachers and parents would appreciate more like it.